Rapid progress on a new strategy for developing one of the world’s richest unmined lead deposits has Galena Mining (ASX: G1A) positioned to deliver, on schedule, its pre-feasibility study on a potentially high-margin project and start serious talks with some of the offtakers and financiers taking a strong interest in delivery of Abra in Western Australia. Galena CEO Ed Turner says the company's focus on demonstrating the economic appeal of a smaller-scale, long-life project, with lower capex and significantly higher returns than a development contemplated nearly a decade earlier, has seen it complete 17,000m of drilling and deliver a robust scoping study that has in turn underpinned the PFS due to be posted next month. All of this since listing after an over-subscribed A$6 million capital raise only last September. While interest in a high-quality lead-silver concentrate that could flow from Abra within 2.5 years has escalated, Galena Mining has stayed focused on highlighting the potential of the project to be a world-class operation based on the value-per-tonne of mine-gate material the company is aiming to produce from a one million tonne per annum underground mine, and plant. "We've made huge gains in de-risking everything from a technical point of view," Turner says. 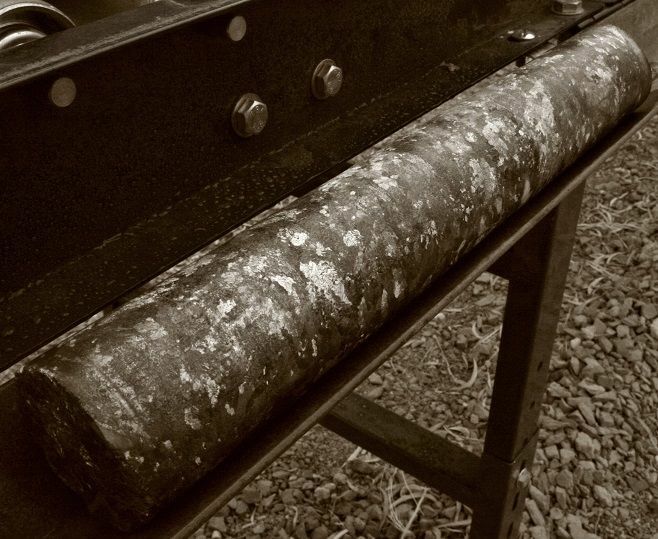 "We went straight into an 8,000m drilling programme within two weeks of listing last year, with the aim of testing the high-grade model we'd developed - to prove up the high-grade resource within the broader project resource - and we achieved that. That fed into the scoping study. "We also focused on work that would provide parts of the PFS study; engineering, hydrogeology, environment, metallurgy, etc, and we've basically finished all of that so we're on track to complete the PFS in September as predicted. "So we're very happy with that progress, and ticking all those boxes by this stage. It puts us in a good position to move rapidly towards finance and offtake after delivery of the PFS, with a BFS to follow [next year]. Our metallurgists have been around for plus-40 years and they think we might be able to supply the best [lead-silver] product since Broken Hill. "That would certainly help us with negotiating offtake and getting the best possible deal. "We've had a lot of interest from potential offtake parties we can potentially do part of the financing through, including offtake pre-payment for offtake, and have initiated discussions with quite a large number of potential partners. "We'll be narrowing that down to a shortlist within the next month." 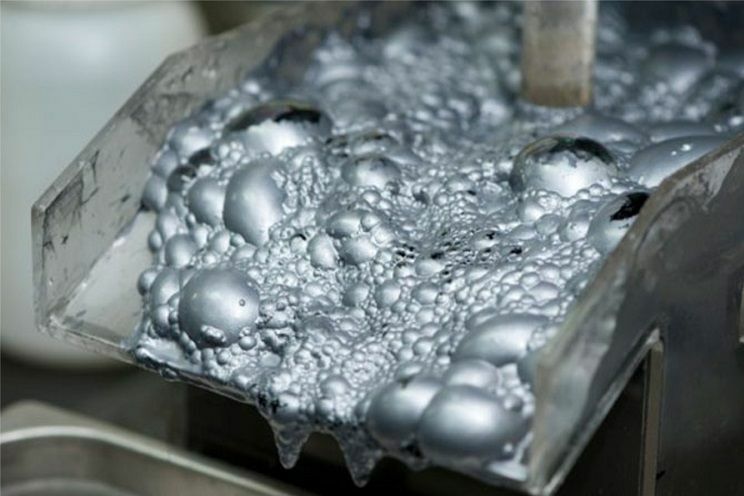 Turner says market recognition of not only a rare primary lead-silver production story, but one with a scoping-study NPV multiples of the projected A$150 million capex and 60% IRR using the long-term LME lead price of US95c/lb, is growing on the back of the study work and drill results released so far that have reminded observers of the deposit's signature grades and potential mineability. These results have continued into the past week with Galena's announcement of latest "development drilling" assays that Turner says add to confidence that "our resource model and the thicknesses and grades are better than expected in several locations … [including] mineralisation that is closest to surface". Abra has a current JORC resource (more than half in Indicated) of 11.2Mt grading 10.1% lead and 28g/t silver within a project indicated and inferred resource of 36.6Mt at 7.3% lead and 18g/t silver. Galena Mining's scoping study has that sustaining the proposed 1Mtpa mine for at least 11 years, with production of 91,000tpa of lead and 450,000ozpa silver at C1 costs of US46c/lb and AISC of 56c/lb for lead. Development capital payback - and Galena had more than $20 million of contingency in the scoping study capex - could be as quick as 1-1.5 years. Abra, about 110km from Sandfire's DeGrussa operation in the Gascoyne region, is accessible by existing public roads including the Great Northern Highway that runs down to lead-export facilities at Geraldton. "It's certainly the highest-grade lead project in Australia - much higher than Cannington [circa 5% average head grade] which is one of the world's biggest producers," Turner says. "It's also very high grade by world standards. We'd be the fifth or sixth largest lead producer in the world if we go in and produce 1Mtpa at 10%." 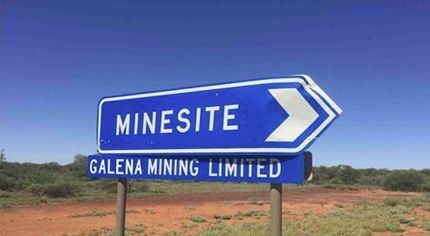 In common with other modern, smaller-scale, world-class mines in Western Australia - and names such as DeGrussa, Nova-Bollinger and Forrestania top that list - Abra shapes as a standout for the quality of product Galena aims to deliver. The met testwork informing the upcoming PFS shows high metal recoveries of circa 95% in an exceptionally high-grade and clean concentrate (average 74.5% lead, with 120-160g/t silver). "From our observations people are seeing this as easily the highest grade lead concentrate produced in Australia, it not further afield," Turner says. "When you factor in that 95% payability the value of one of our tonnes is probably comparable to, say, DeGrussa or Nova-Bollinger. "Our mine life could also be much longer than any of those deposits." Indeed, while lead may not be the most fashionable metal still despite the strong spot price improvement of recent times, the Abra endowment on a gold-equivalent basis looks positively luminous at about two million ounces at an average grade of 6g/t for the high-grade component (11Mt at 10% Pb) and some 5Moz at 4.4g/t for the current global resource. "There are a lot of companies with inferior deposits, that aren't as advanced towards mining, that are currently valued much higher than us [at A$69 million market cap]," Turner says. "Obviously our market cap now is a bit low, but we are confident now we will get that up much higher as we look at the best financing options to minimise dilution." Galena Mining is funded through to planned delivery of a bank-level feasibility study next year, with about A$8.5 million in the bank at the end of June. All going to plan - and with a possible injection of pre-development funding via an offtake deal - the company wants to start work in the second half of next year on a decline to the top of the Abra orebody at about 250m vertical depth. An early start on the critical path development item will go a long way in helping Galena meet its aggressive project delivery schedule. It will also open up access to underground drilling positions that boost the efficiency of resource extension and infill drilling. About 55,000m of core drilling to date on the Abra deposit has left it open along strike and at depth. "The other potential upside from that underground drilling is in the gold and copper we have seen that is deeper in the system. We haven't calculated a resource on that yet because the drilling needs to be higher density," Turner says. "Hyperion, 1.4km west of Abra, shows considerable potential that also needs to be followed up. We've intersected this apron again - the top of the mineralisation in the same stratigraphic horizon as Abra - and got similar grades, such as 6m at 9.9% lead. "There has been no drilling in between [Hyperion and Abra]." Turner says the underlying strong demand picture for lead that recently pushed prices as high as US$1.14/lb remains intact at a time when there are virtually no new primary lead mines of significance on the horizon, and concern about the lack of new zinc supply (usually connected to lead by-product) hasn't gone away. "Lead consumption has been ticking up for the last 14 years around the world and there are more lead-acid batteries being made than at any point in history," he says. "There is this perception that lithium is taking over, but it's actually not true. The increasing middle class around the world means more and more cars are being made and their primary energy storage method is still the lead-acid battery."